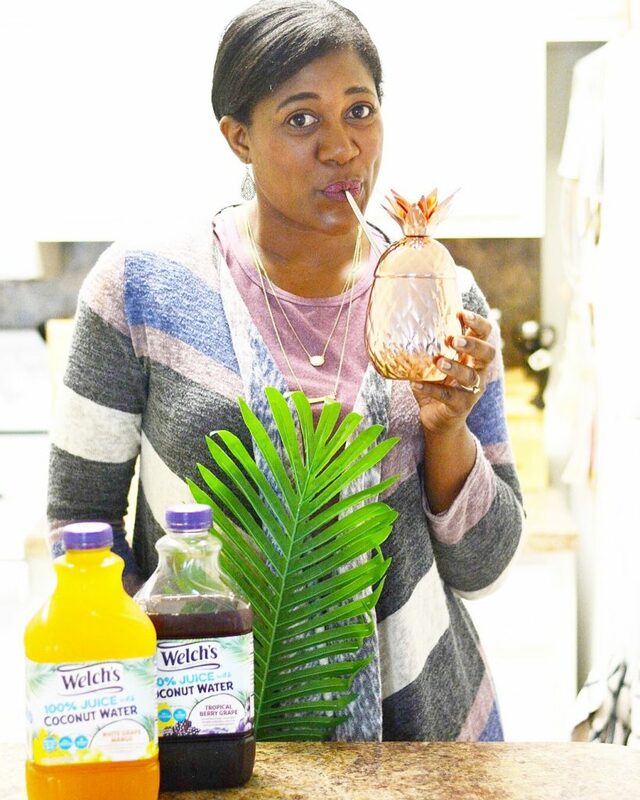 Allow me to introduce you to my new favorite juicy drink, Welch’s 100% Juice with Coconut Water!! 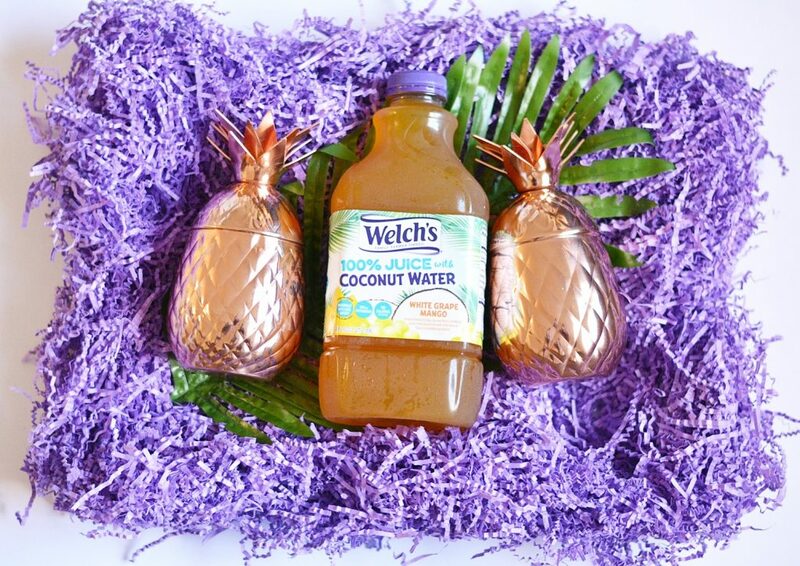 Welch’s has provided just what I was looking for, in their same great family-farmed taste, but with the added bonus of coconut water too. This is a big deal to me, because it’s a super simple way that I can incorporate some healthier choices into my daily living. I’m nowhere near where I’d like to be health-wise, but I know that minor changes lead to more significant ones, and I have to start somewhere. This brand new drink is available in Tropical Berry Grape & White Grape Mango. I’ve tried them both and they are seriously delicious. 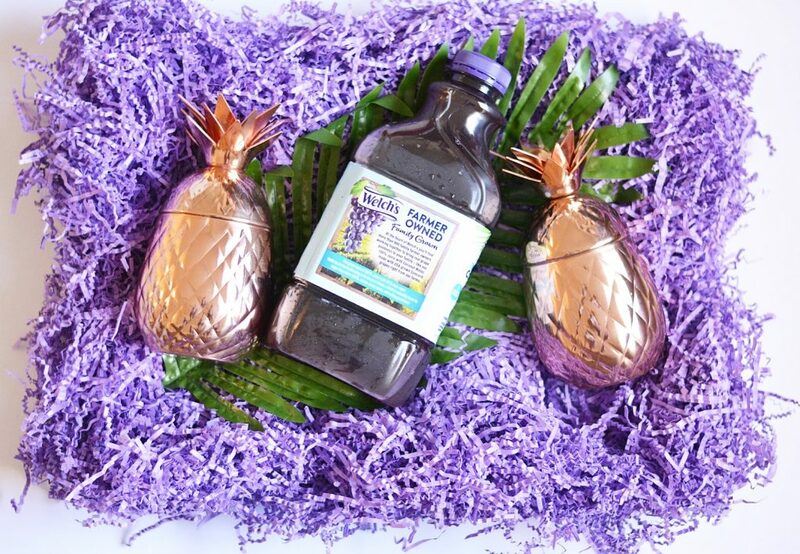 I don’t taste coconut, just goodness, but I know I’m consuming 30% less sugar than the 100% grape juice. Incorporating a healthy choice doesn’t get much easier than this. 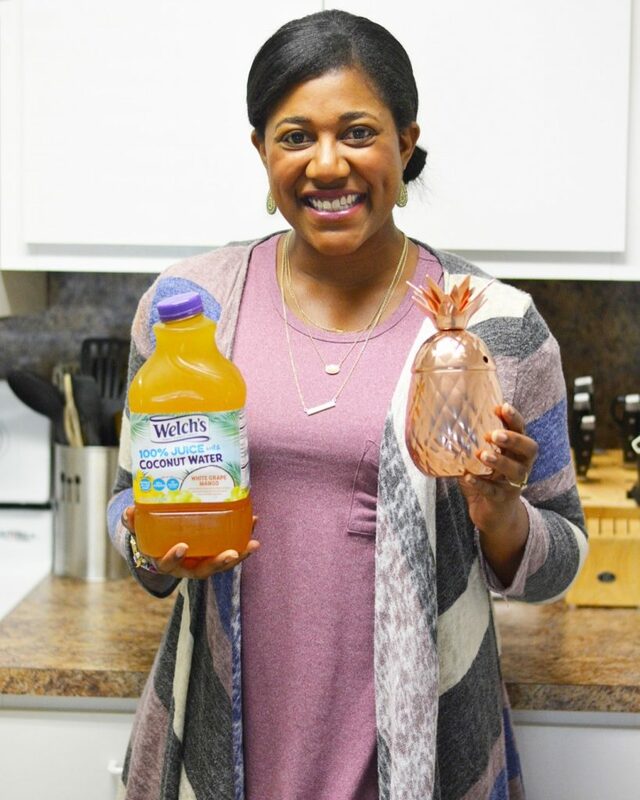 I can still get my juice fix with the benefits of coconut water, and baby step my way into making better choices. Not only is this important for my future, but I know my daughters are watching me. I know the decisions I make now will absolutely affect them. They are watching my every move, and I want them to know that busy is an excuse (preaching to myself). 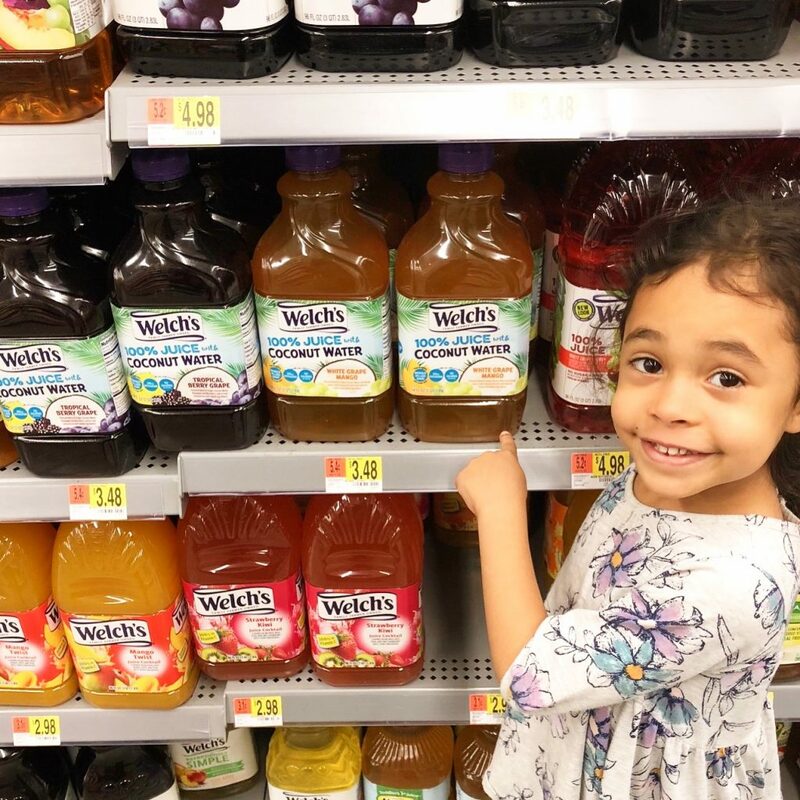 But when it comes to making better choices for our bodies, there are companies like Welch’s that keep the best interest of the consumer in mind. Have you tried these new flavors yet? Check here for your local listings! Tell me, are you a fan of coconut water? Are you as excited about this new juice as I am? I really need to try this juice! 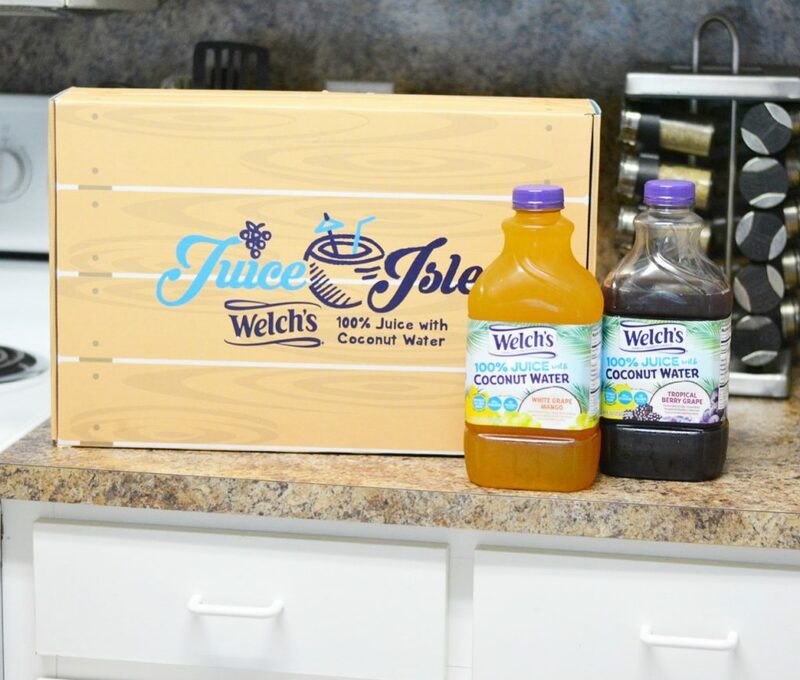 I love coconut water for my smoothies but had never heard of it in the juice until now. I really want to try the grape one! I am seeing this new juice everywhere! I will have to try this soon! I thought I was the only non-coconut lover out there! This is something I would definitely try, Great suggestions. Although I typically like the taste of coconut, I have never been a fan of coconut water. This is such a great way to get some in my system (or my kids!) without the taste issue. Im not a huge coconut dan either but i should try this! Those pineapple cups are the cutest! I am not a huge fan of coconut either, so I am glad to hear that you can’t taste it! I will have to try these! Yum! Give me coconut everything! I don’t like coconut water either, but know it’s super healthy. Can’t wait to try this juice!! We just got this drink!! The kids will love it!! I’m already a huge coconut fan so I know I’ll probably love these! Those cups are too cute! My family will eat anything with coconut in it! I’ll look out for this juice! Thanks! 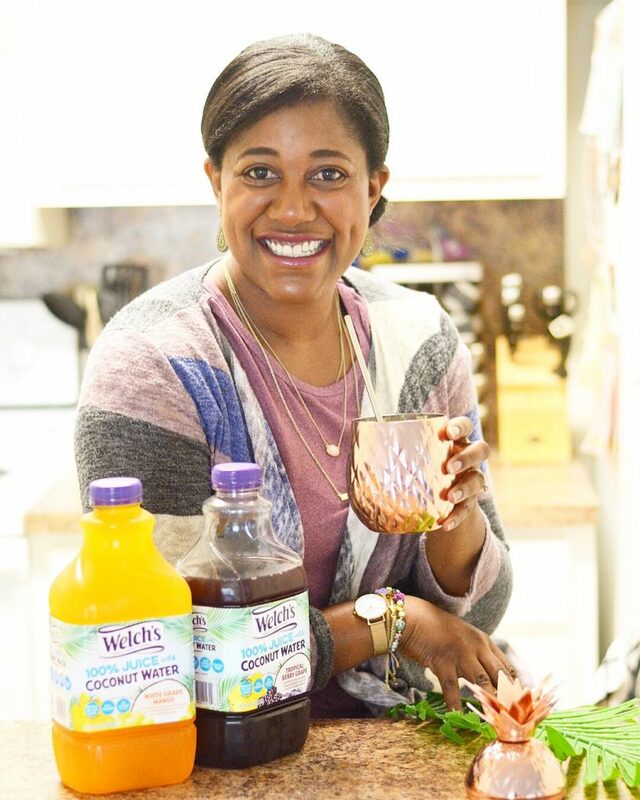 I’ve been wanting to try this out – loved Welches growing up, so I definitely need to try these! Also, adorable pineapple tumblers! I couldn’t get myself to drink coconut water either until now, this juice is tasty! I have never been able to get into coconut water either, but this product sounds great!! I should try this juice for my son! 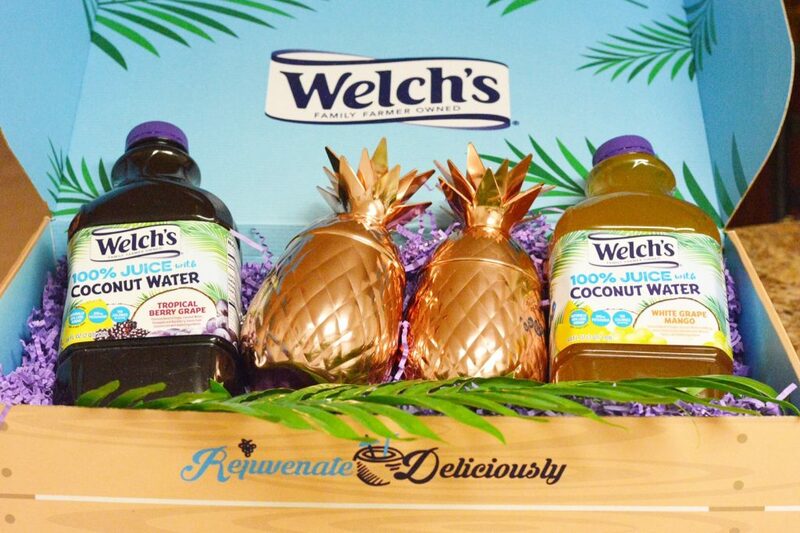 I’m totally with you, I’ve never liked the taste of coconut (unless smothered in chocolate, lol), so I’m super excited to try Welch’s juice with coconute water!!!! small steps towards better health totally add up in the long term!!!! You’re not the first person to tell me this is delicious. I love coconut but was afraid the flavors wouldn’t mix well with juice. Can’t wait to try it! I hate the taste of coconut too! I had no idea it had so many healthy benefits. Running out to buy now! OMG this juice looks amazing!!!! I really need to try these. Those flavors sound so yummy. Most of all, I need those pineapple tumblers in my life!